The 2-Up 2-berth ensuite caravan is all about style and reliability. The spacious design with modern features, the 2-Up comes fully equipped with a queen bed, café dinette with footrests, 19” digital TV and reverse-cycle air conditioner. 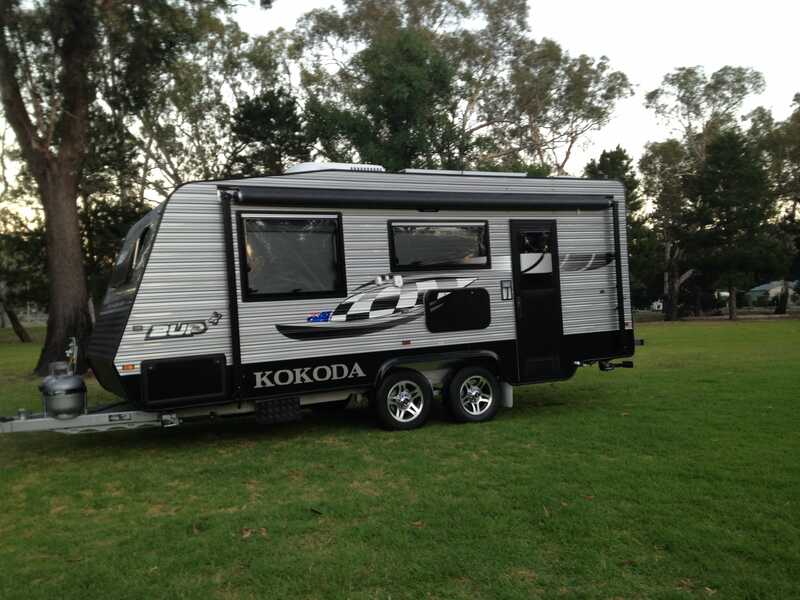 For an affordable price the 2-Up offers a 19’ caravan with deep cycle battery with gas and electric hot water system. The interior features a full ensuite, two door 181L fridge and 19” digital TV. The interior also has an oven with three gas and one electric burner, a full height slide out pantry and drawers on rollers, which makes the 2-Up durable for the Australian outback with a modern finish.